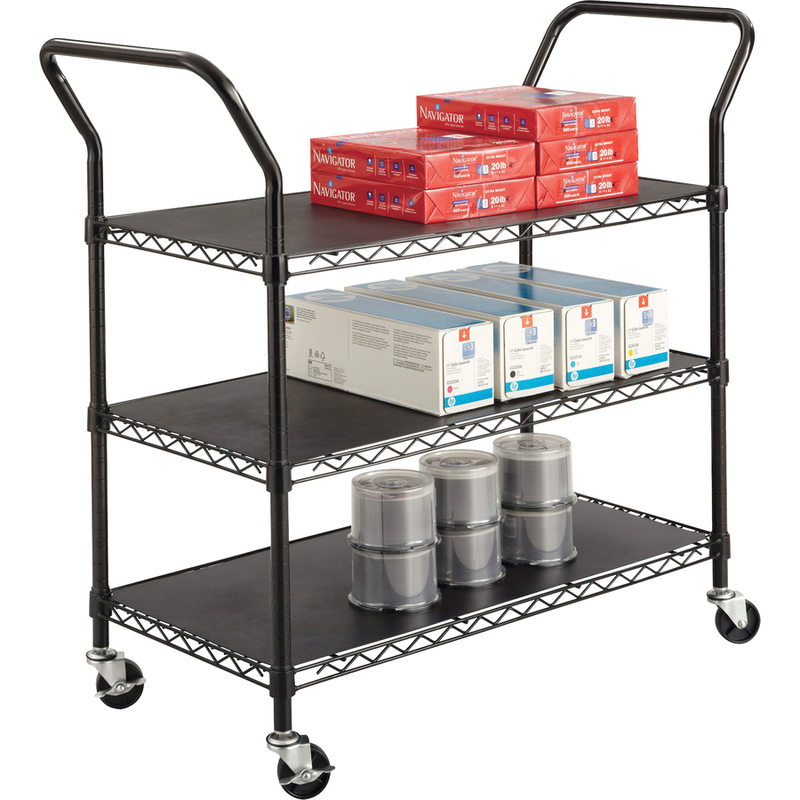 Shelves measure an ample 36" x 18"
Strong, three-shelf, wire utility cart transports and stores material safely and efficiently. Each shelf holds 200 lb. for an overall weight capacity of 600 lb. Shelf clearance is 12" high. Cart rolls smoothly on four swivel, 3" nylon casters (two locking). Shelves adjust easily in 1" increments. 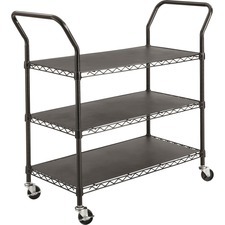 A black plastic shelf liner is included for each shelf. Wire is made of powder-coated steel.